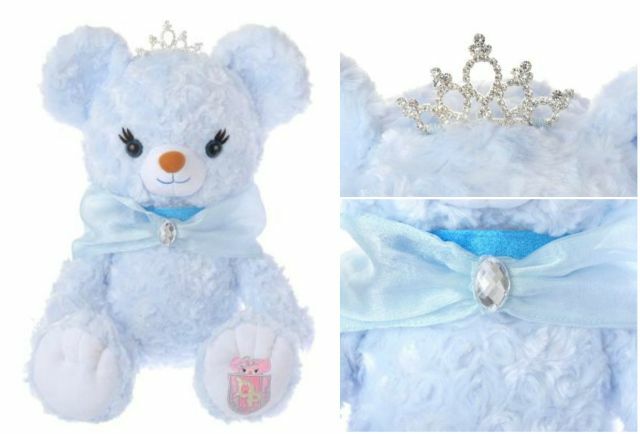 As one of the first Disney princesses, it seems fitting that Cinderella starts off the newest UniBEARsity line – PrincessBear by UniBEARsity.While this is not the first time that a Princess Unibear has been released, the first being that of Sleeping Beauty’s Maleficent and Aurora, Cinderella is officially the first Unibear under the Princess lineup. 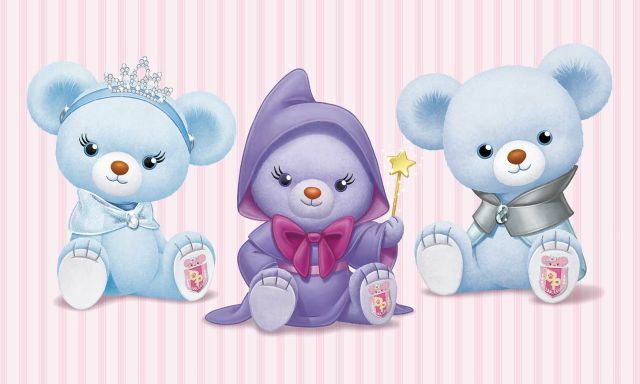 (from left) Cinderella, Fairy Godmother, and Prince Charming Unibears. 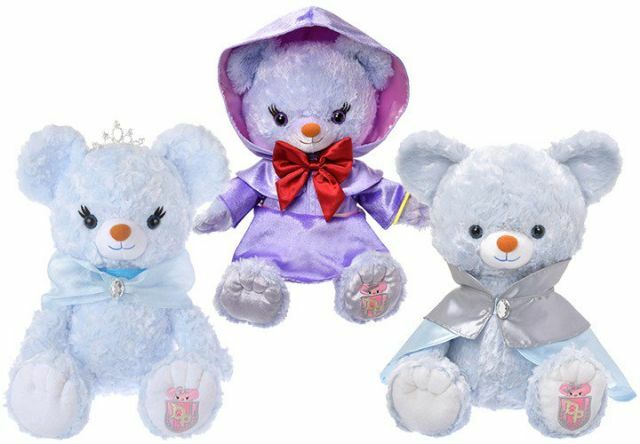 Headlining the new Unibear series are Cinderella’s Blue Rose, Fairy Godmother’s Potiron, and Prince Charming’s Charmant. The nomenclature follows previous Unibear trends with Cinderella taking after Princess Aurora’s Unibear “Rose Rose”, and Fairy Godmother and the Prince taking on the French words for “pumpkin” and “charming” respectively. 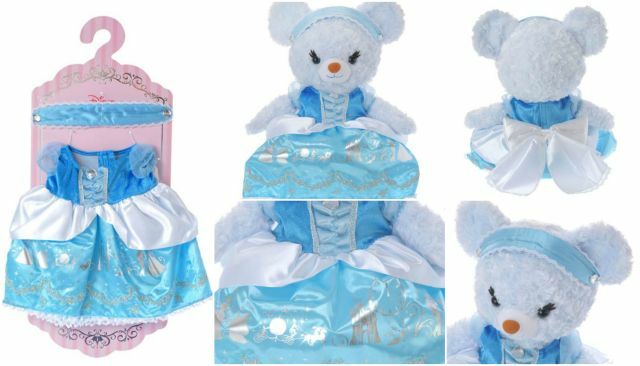 There is a prominent silver and blue colour palette among the Cinderella Unibears. Cinderella is of a soft powder blue, Fairy Godmother a light periwinkle, and finally silver for the Prince. As usual with Japan’s Disney merchandise, it is in the details where one can truly appreciate product quality. Charmant retails for 3456 yen (with tax). 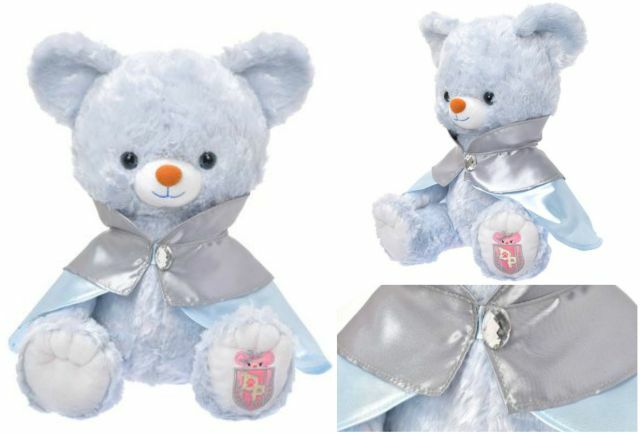 Prince Charming’s Charmant comes with a silver and blue cape that drapes over his body. The fabric has a metallic sheen to it and is held together by a velcro strip which is topped with a rhinestone. Charmant’s eyes are grey. Blue Rose retails for 3888 yen (with tax). Cinderella’s Blue Rose comes with a tiara, a blue velvet choker, and a sheer light blue shawl. A particular feature to note is the texture of her fur which is made up of small repetitive rosettes, giving her a much more romantic look as well as a softer touch. Aurora’s Unibear also has a similar texture. Potiron is the most expensive of the bears, retailing at about 5400 yen (with tax) since she comes in costume. Last but not least is Fairy Godmother’s Potiron who happens to be the most extravagant of the three. The fabric that makes up her fur contains several transparent pearlescent threads which give her an overall sheen. Unlike Cinderella and Prince Charming, she comes outfitted with a full costume. She wears a purple velvet cape which is belted with a pink ribbon and topped with a red silk bow. 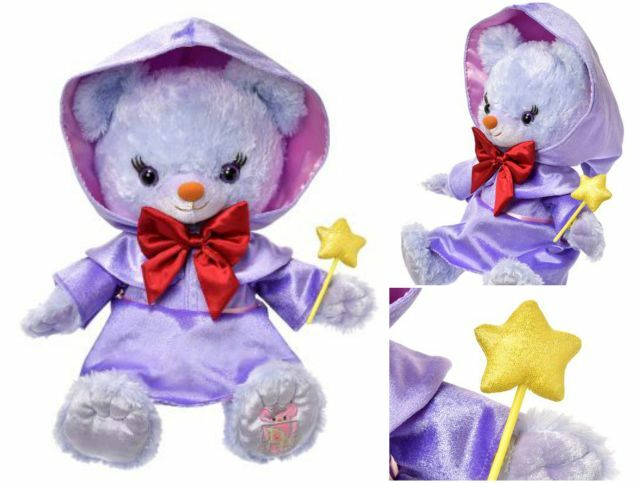 In her left hand is her magic wand which is looped around the paw by an elastic. Prince Charming’s ballroom outfit. 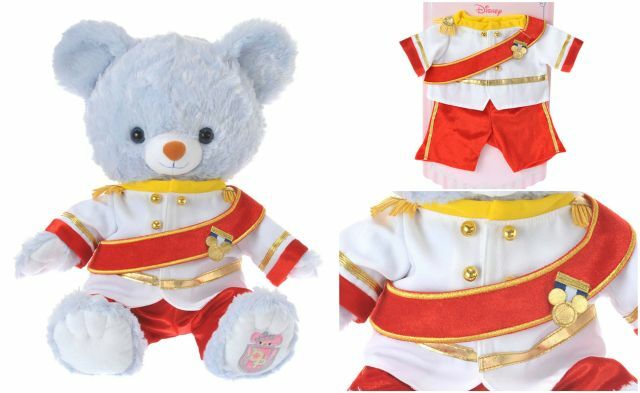 Of particular note are the gold accents, shoulder tassels, and a Mickey-shaped medal pinned on the body sash. Should you want to have Charmant and Blue Rose in costume, their outfits are available for purchase. The costumes are just as fine in detail as the Unibears themselves. The gown portion of the dress depicts select motifs of Cinderella’s magical night etched in silver. Bordering the scenes are embroidered flowers made up of silver threads. The pictures really do not do it justice. A new line means a new logo. It’s an all pink theme with the key difference bearing (no pun intended) the initials “DP” which stands for “Disney Princess” as opposed to the usual “DU” initials of “Disney University”. 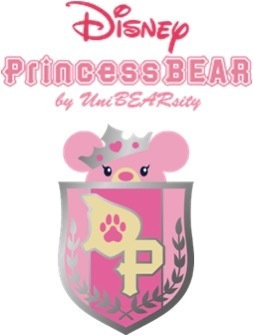 The new Princess Bear logo implies that it there will be more releases of Princess-related Unibears along with accessories and accompanying costumes. 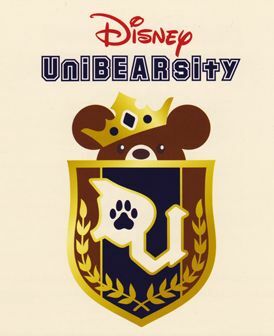 Who will the next Princess Unibear be?